Mid-market HR today is being asked to be a business partner in areas that range from compliance to employee engagement. They need to be able to connect the dots among various sources of employee data to deliver better-informed business decisions to help achieve strategic goals. Connecting those dots and delivering those results demands more HR firepower and greater data visibility than the manual or homegrown processes and systems often used by mid-market organizations can deliver. On the other hand, most mid-market companies aren’t ready for the intricacies or expense of human capital management (HCM) systems designed for enterprise-level organizations. 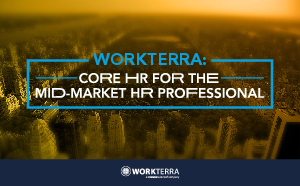 The answer for forward-thinking HR leaders who want to boost their team’s capabilities and play a greater role in their company’s future is having core HR functionality designed into an integrated benefits administration solution.